Watch Videos - Sukey Molloy! Watch My Latest ‘Sukey’s House!’ Video Post and Subscribe! Join Sukey Molloy & Friends at Sukey’s House for Open Shut Them. In her very own living room, Sukey sings this children’s favorite, Open Shut Them, moving, singing, and inviting viewers to move along with her. Open Shut Them is recorded on Sukey’s first CD, Circle Songs! From Sukey’s brand new Oct. 5th CD release – Five Little Oysters! Sukey Molloy puts a big smile on traditional favorites and mixes them with original songs, poetry, and a story for the October 5 release of her fifth album, Five Little Oysters! Listeners are invited into a personal, intimate world of familiar old time favorites as Molloy changes up the lyrics with lots of special effects, creative rhythmic nuances, and colorful percussive textures, and highlights educational, learning fun with counting, farm animals, and cozy family listening for children of all ages! Join Sukey for her Five Little Oysters Audio Sampler, featuring song clips from her new album, and colorful felt art story boards to accompany the songs! Join Sukey Molloy & Friends at Sukey’s House for Old MacDonald. In her very own living room, Sukey sings Old MacDonald while playing with owl, llama and lamb puppets made by Folkmanis Puppets. Enjoy movement play and song in Sukey’s living room! Joined by Sukey Molloy & Friends, Sukey sings ‘I Put My Scarf on My Head’ while playing along with colorful scarves and buckets. Story Time! 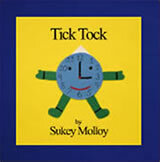 with Sukey Molloy – Tick Tock highlights Sukey reading aloud in her living room from her audio picture book, ‘Tick Tock’. 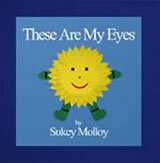 Sukey invites children to move along with the lyrics as she reads. Enjoy! Story Time! 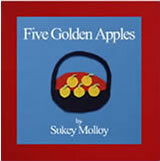 with Sukey Molloy – Five Golden Apples highlights Sukey reading aloud in her living room from her audio picture book, ‘Five Golden Apples’. 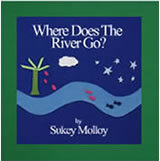 Sukey invites children to move along with the lyrics as she reads. Enjoy! Click here to visit Sukey’s picture book series! Circle Time Play! with Sukey Molloy – Play with Pail/Shovel/Bean Bag highlights tapping, stirring, counting, and naming colors, for early learning.